No event venues can be completely spotless. It’s not just the areas open to the public that need thorough cleaning; you should also ensure that guest rooms and storage areas stay clean as well. Heavy-duty equipment like industrial floor cleaning machines can help make the job so much easier. Consider using an industrial floor scrubber before and after the event to make the job of your utility personnel fast and easy. Despite the typically great job professional cleaners perform, they will surely welcome the idea of using high-tech equipment for better results. Using such a machine not only speeds up the process, but it also helps prevent a lot of physical strain on the crew members, as they don’t have to sweep or mop a large area. 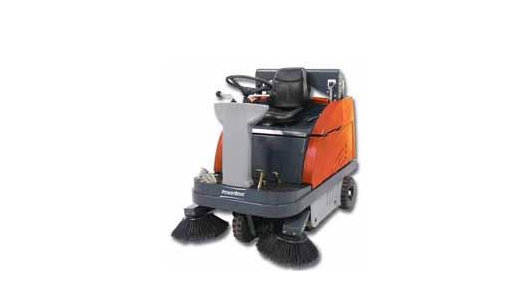 Industrial floor cleaning machines also make it easier for the crew to clean without disrupting late-staying attendees. Some events do attract guests who like to stay until the last minute, and tear-down crews are doing sweeping or mopping before everyone has left may contribute to a rushed feeling. Being able to use an industrial floor scrubber in smaller areas as the breakdown occurs offers a great alternative. Many event vendors value the importance of mobility and choose wheeled displays that are easy to move. Industrial floor cleaning machines make it easy to navigate around such displays in the event of a spill that requires attention. Even when the booths and other displays are not easily portable, using a floor cleaner is a good way to do necessary cleanups without problems. People who own event venues will also find a floor scrubber helpful when dealing with certain events that have special considerations. For example, weddings and similar events involve a lot of gifts that will need to be moved. All the activity involving guests coming and going makes using a floor machine after guests have left more practical. Adding machines that clean floors to your collection is one way to make sure your event venue looks great at all times. Your staff will spend less time keeping everything looking good. Most importantly, anyone who books your venue will be very pleased.